Matcha Green Tea Smoothie - The Ultimate Guide to the Best! Here at the Matcha Connection, we love matcha smoothies. So setting out to find the best matcha green tea smoothie was this writers dream assignment! By adding Matcha you can take advantage of the many health benefits of match﻿﻿a, including​ the numerous antioxidants and the increased focus and mental clarity associated with matcha green tea. Matcha has a very high concentration of the amino acid L-Theanine​ which balances the effects of caffeine. Even though matcha contains more caffeine than other teas, with matcha you get the alertness from the caffeine, but without the shakiness and crash associated with it. Instead you get a calm alertness with extreme mental clarity. As you may know, there are different grades of matcha green tea powder ranging from Ceremonial grade, which is best for making matcha green tea, to Culinary grade, which is best for making a matcha green tea smoothie.​ You can use ceremonial grade for smoothies, but it is much more expensive and not necessary. Before we get to the matcha green tea smoothie recipes, I just want to take a quick second to talk about the blenders that we use for making our smoothies here at the Matcha Connection. We have found the the best ​blender for preparing matcha green tea smoothies is the NutriBullet. We also like the Vitamix, but it is much more expensive. The NutriBullet really shines when you are adding leafy greens like spinach and kale. Our favorite blender for making matcha green tea smoothies. Amazing power for completely blending seeds and leafy greens. While not as good as the Pro 900, the Magic Bullet still makes a good matcha green tea smoothie and is less expensive. Awesome Blender!The reason it didn't get a better rating is because the price is too high, but it did a great job in our tests! Alright already! Let's get on with the best matcha green tea smoothie! ​Add all ingredients to blender and blend until smooth. This is another one of our "go to smoothies" for breakfast here at the Matcha Connection! This is a great smoothie to power up your day! Another awesome Matcha green tea smoothie to power up your day! We love this recipe from Jessica Gavin! We love to boost our metabolism with this Matcha green tea smoothie! Add this recipe to your matcha smoothie rotation and experience it's age defying results! Wow! 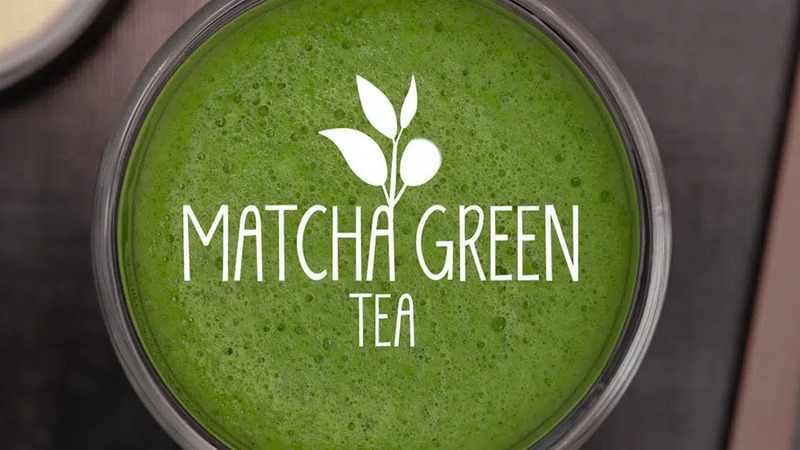 This is one of the best matcha green tea smoothies that we have tried yet! It is a great combination of ingredients that embraces the rich decadent flavors of your favorite latte! We love how the sweetness of the pineapple and banana complement the flavors of the greens! Our top 10 choices for the best Matcha Green Tea Smoothie! We'd love it if you share the 10 Best Matcha Green Tea Smoothies infographic below! Please leave your comments and questions below.